Duration: From 40 minutes up to 2 hours per person. It’s all angles, all action and all fun. 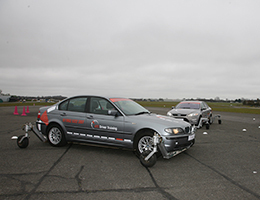 Gain driving skills that could one day save your life. 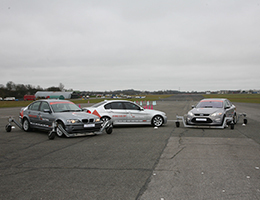 Reflexes and co-ordination will be tested to the full as you learn the advanced techniques to counteract understeer and oversteer and even take part in emergency braking exercises. Our training recreates emergency situations. Participants are coached in overcoming their instinctive reactions, which in many cases can be the wrong ones. 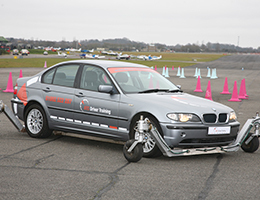 Develop the skills and knowledge to cope with front wheel, rear wheel and four wheel skids. "Thank you . I had a great time, found it really interesting and learnt lots. Also wanted to say thanks to the instructor who was lovely. Will definitely look to come back again soon with friends and family." "We all had a great skid experience. We would like to express our grateful thanks for the trainers encouragement whilst training us to recognise and react to skids." 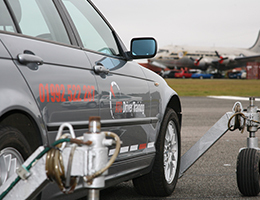 "Really enjoyed my course , great fun and I also felt that I learnt a lot. I have always felt that I was not in control on an icy road. I now feel safer."